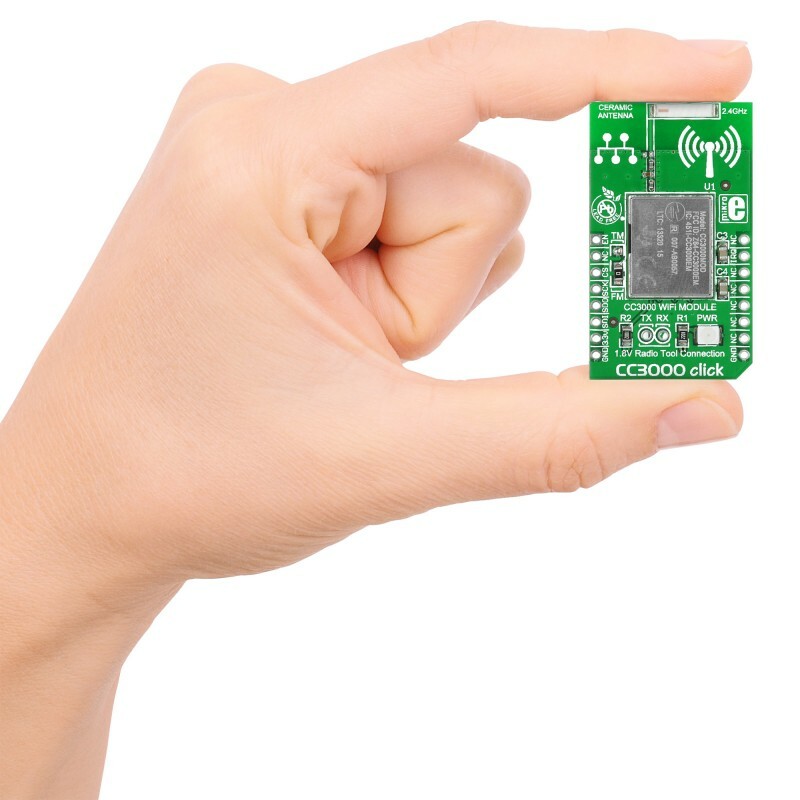 CC 3000 click™ is an add-on board in mikrobus form factor which carries a CC3000 IC and a ceramic antenna for adding WiFi functionality without requiring too much Wi-Fi or RF expertise. 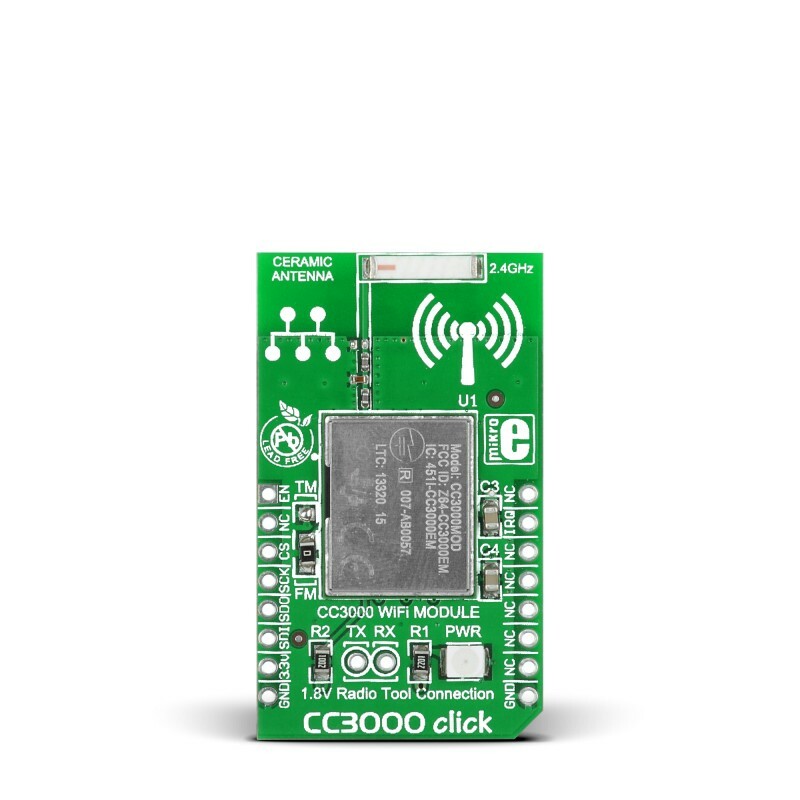 CC3000 click™ is an add-on board in mikrobus form factor which carries a CC3000MOD and a ceramic antenna for adding WiFi functionality without requiring too much Wi-Fi or RF expertise. The Texas Instruments CC3000MOD integrates the IPv4 TCP/IP stack with built-in network protocols (ARP, ICMP, DHCP client and DNS client). 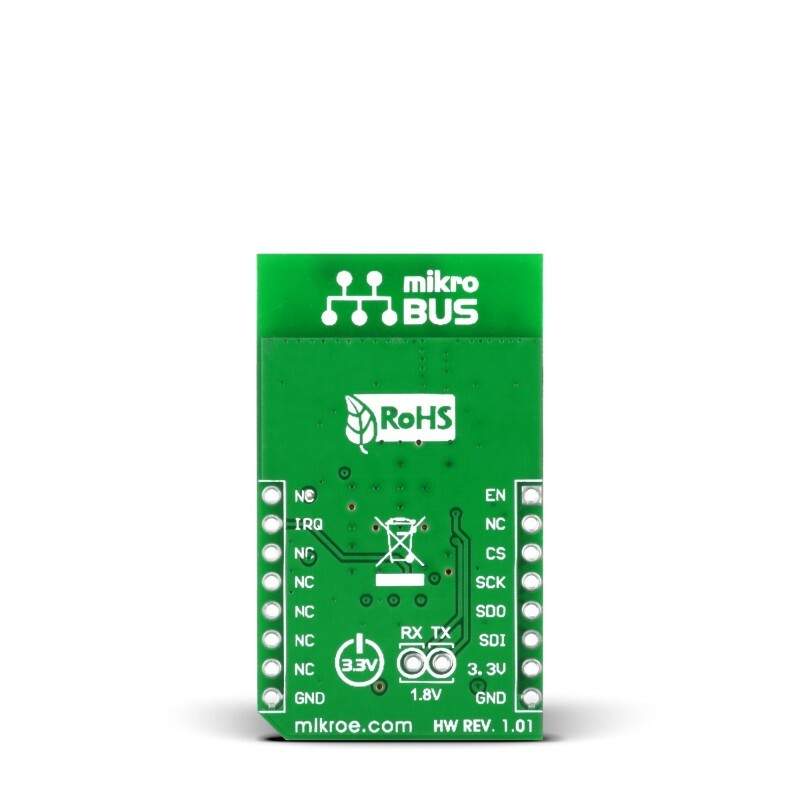 This simplifies connection to local networks or the Internet, while minimizing software requirements for the target board MCU. 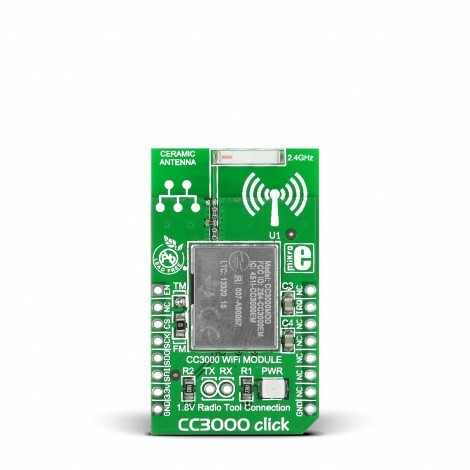 The CC3000 click enables OFDM rates from 1 to 54 Mbps in the 2.4-GHz ISM band. 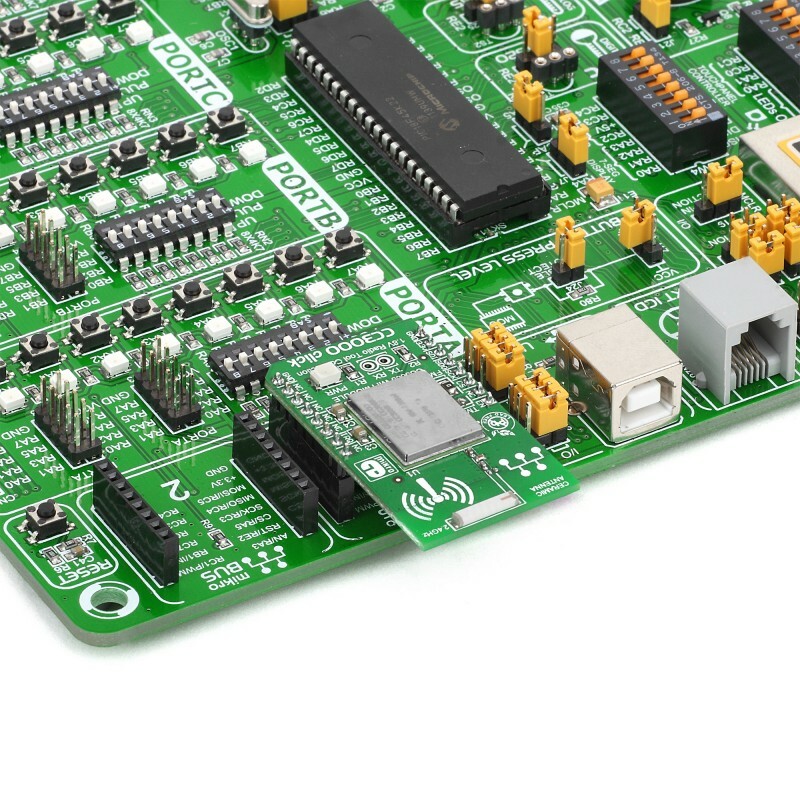 CC3000 also has integrated EEPROM memory. The ceramic antenna has a maximum range of about 70 meters in open space.